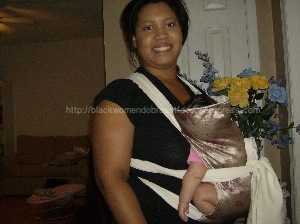 Essence.com blogger, Cori Murray talks about her breastfeeding experience. Why I Chose to Breastfeed – Baby On Board. For me, a new breastfeeding mom, I’ve made a personal commitment to do so until my daughter is one. But I didn’t need the Pediatrics journal as motivation. I long heard breastfeeding was the absolute best source of nutrition for babies. Breast milk may help protect against: obesity, allergies, childhood leukemia, type 1 diabetes, colic, ear infections, respiratory problems and SIDS. Not to mention it may boost a child’s IQ. If a mother is able, why wouldn’t she want the best for her baby? via Why I Chose to Breastfeed – Baby On Board. Interesting article on cross-nursing in Jamaica. Would you breastfeed another woman’s baby? – Jamaica Women News: Health, Beauty, Motherhood & more – JamaicaObserver.com. “Sister Pauline Lovindeer, director of the breastfeeding programme at the University Hospital of the West Indies (UHWI), Mona, said that while it is not practised by hospital officials, some women in Jamaica still breastfeed each other’s baby.